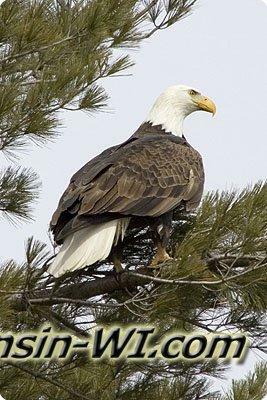 Bald Eagles are a very well-known species in the world today. People come from all around to watch the Bald Eagle in action. They are a very beautiful bird with many qualities. 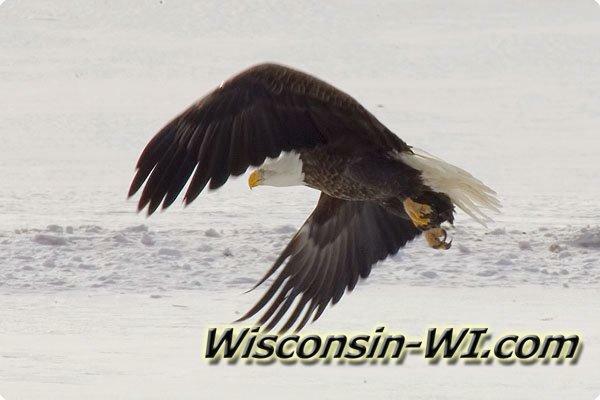 Wisconsin Bald Eagles have many benefits to themselves and others. Did you know that their feet are cold resistant because they are made of mostly tendons? 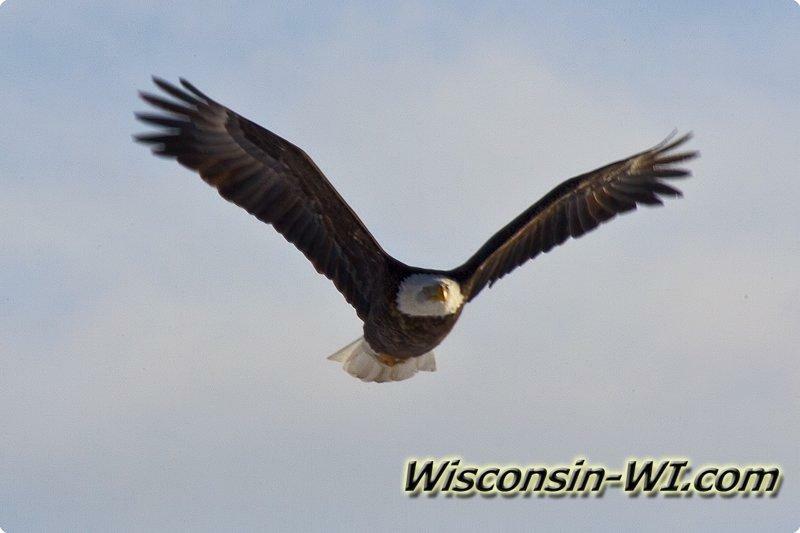 They are also able to yell out a loud call to warn off other Eagles and predators from their territory. 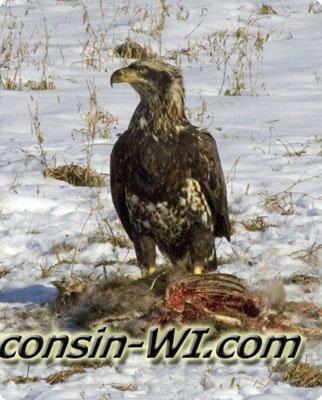 Bald Eagles don't just hunt their prey but they are also opportunists that scavange dead animals just like Turkey Vultures; finding dead deer. 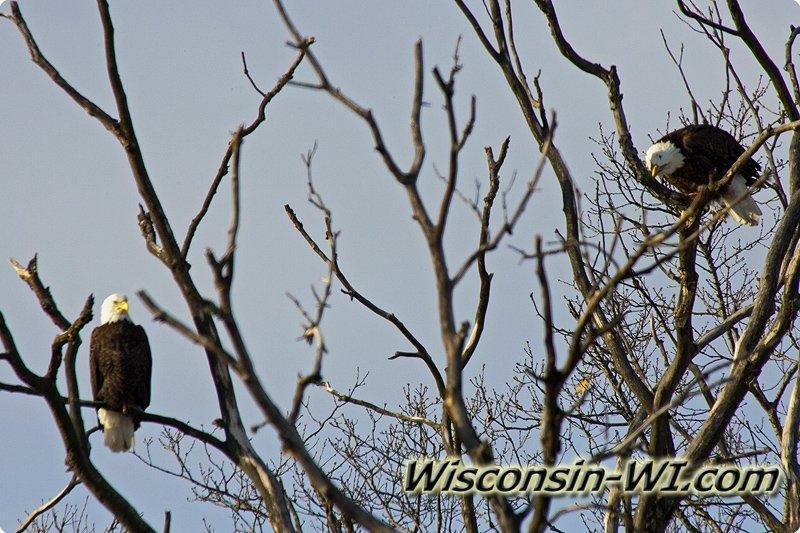 Bald Eagles perched in a tree. 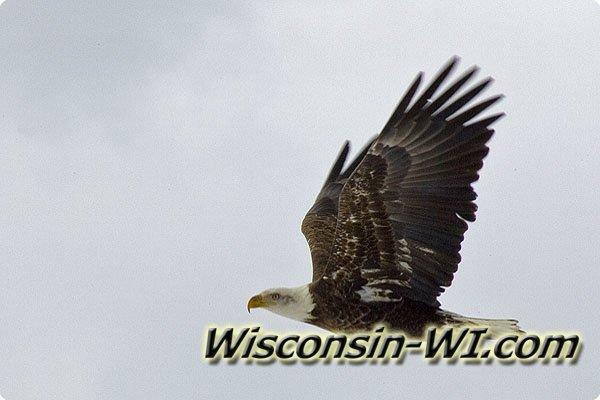 Northern Bald Eagles have been known to be excellent parents. They protect their young with all their might. They are aggressive birds in protecting their young and in hunting for food. This bird doesn't really have any predators because they spend most of their time high up in trees or flying around. Enjoy their presence because it is definitely a moment to remember. 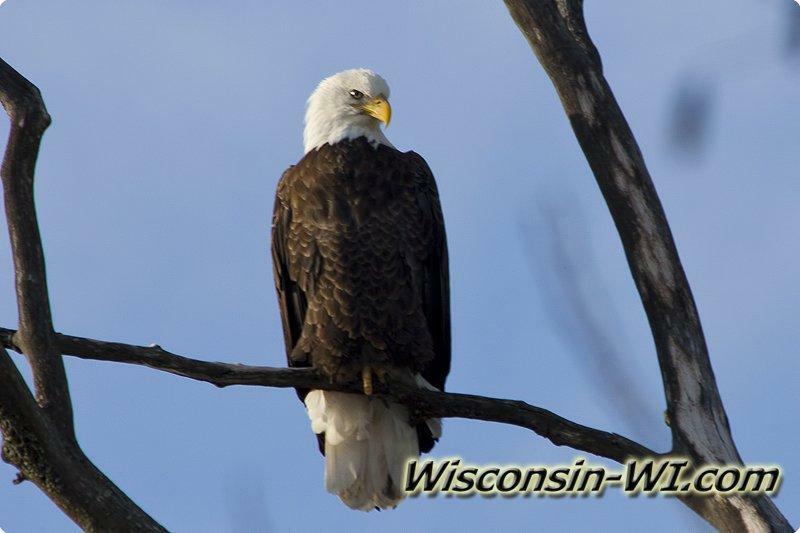 Come see Bald Eagles in Wisconsin! Behavior: aggressive hunters, stay at nesting territory weather and food permitting. 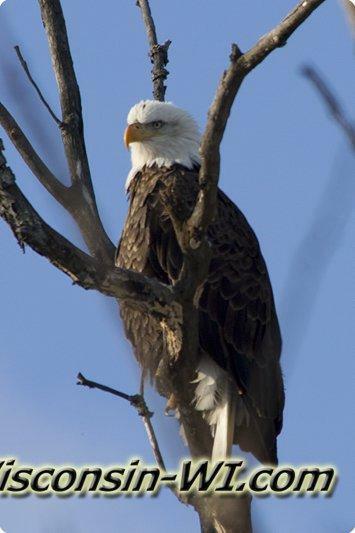 Extra Facts: only eagle confined to North America, body temp. Can get up to 102 degrees Fahrenheit, have 7,000 feathers, during flight can achieve speeds of about 30-35mph. Part of Wisconsin it generally resides: along the Wisconsin River, Chippewa, lower Wisconsin, Wolf and Mississippi rivers, mainly in northern 2/3 of state.